Blue Morning Glories by Georgia O’Keeffe highlights the modern artist’s innovation in creating fascinating works of art. The painting itself is quite simple: it features a close-up of a blue flower. The colors are beautifully utilized, making the painting look very vivid and sharp. 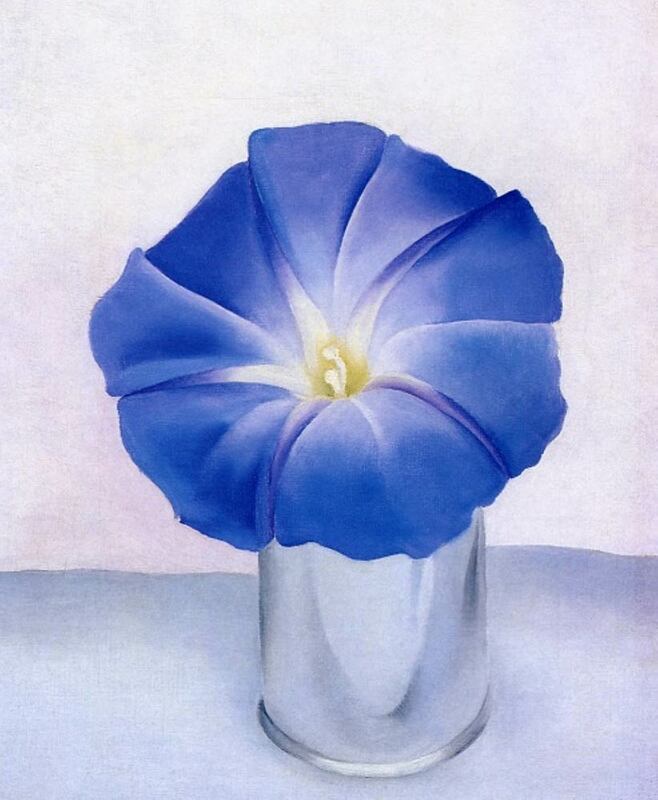 Blue Morning Glories was painted in 1938 and remains one of the most popular paintings by Georgia O’Keeffe. This painting is an example of the Precisionism style, for which O’Keeffe was quite popular for. Its genre is still life, and it is one of the most popular paintings featuring flowers. In fact O’Keeffe loved to paint flowers, and all her paintings feature precise and sharply defined objects. This painting is essentially an enlargement of the blue morning glory flower. The sheer size of the flower that O’Keeffe depicted is enough to catch anyone’s attention, and the way the colors are used makes it even more enchanting.